The dinner was a succession of original and revisited traditional local dishes using seasonal ingredients of the chefs' respective territories and their own farm production. 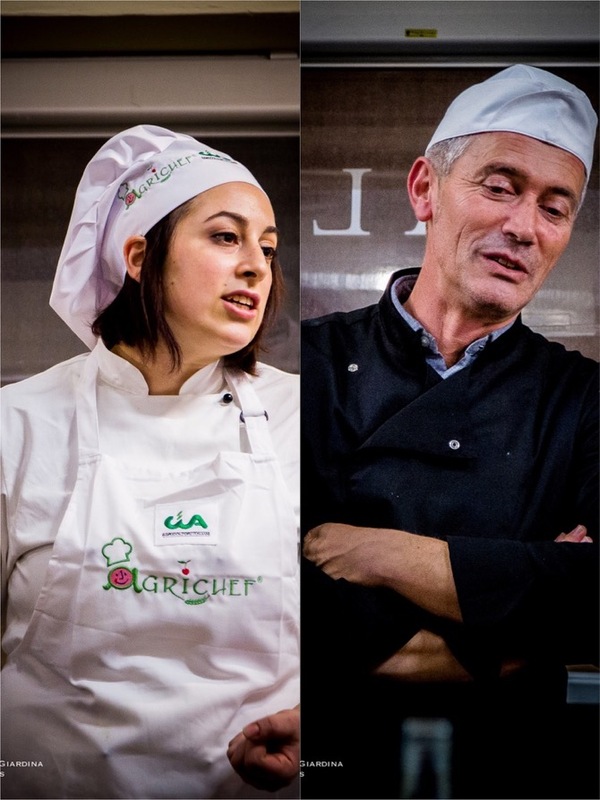 The eleven chefs came from their agriturismi or farmhouses that are located in different regions of Italy, some of which are the ones that were hit by the 2016 earthquakes. 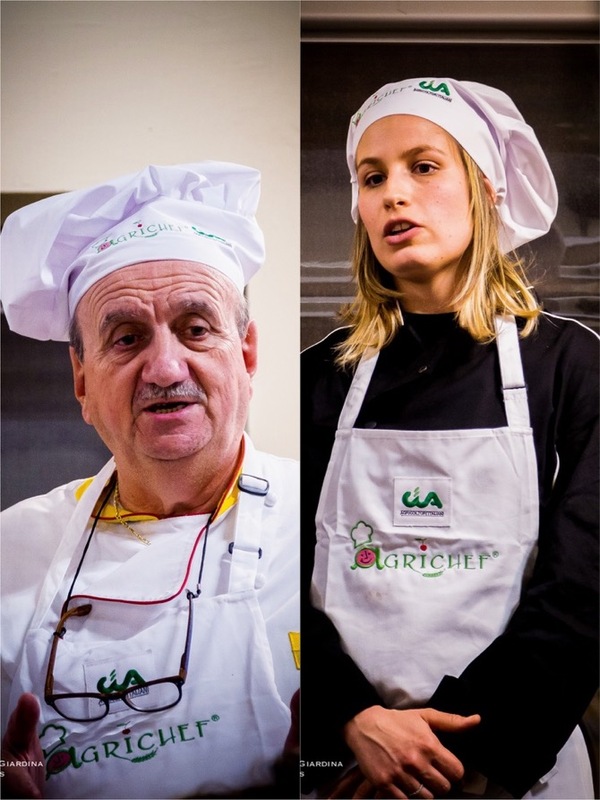 They are agricultural producers, chefs, and ambassadors of healthy food who respect the seasonality, agricultural knowledge and protect biodiversity. 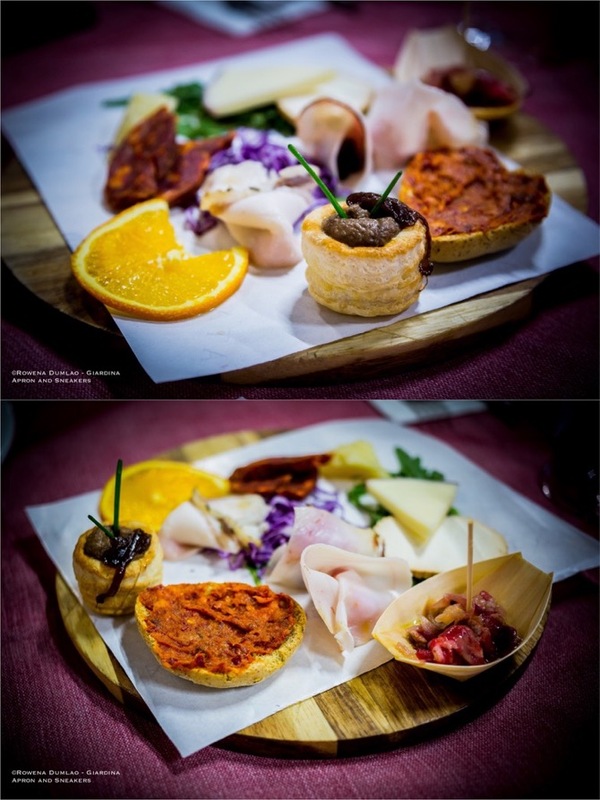 For starters, Saverio of Agriturismo Fattoria Biò in Camigliatello Silano, Calabria provided the Antipasto del Fattore, a platter composed of his agriturismo's production. There were formaggio affinato al vino (cheese aged with wine), formaggio affinato al fieno (cheese aged with hay), ricotta affumicata (smoked ricotta), dolce e salato con patè di fegatino di suino nero e cipolla di Tropea (sweet and salty with patè of black pig liver and Tropea onion), involtini di lardo di suino nero con fichi al rhum (roll of black pig lard with figs in rum), crostino alla canapa con 'nduja di suino nero (hemp crostino with with black pork 'nduja), lonzino di suino nero (black pork lonzino), salsiccia di suino nero (black pork sausage) and carpaccio di podolica al bergamotto (podolica beef carpaccio with bergamot orange). 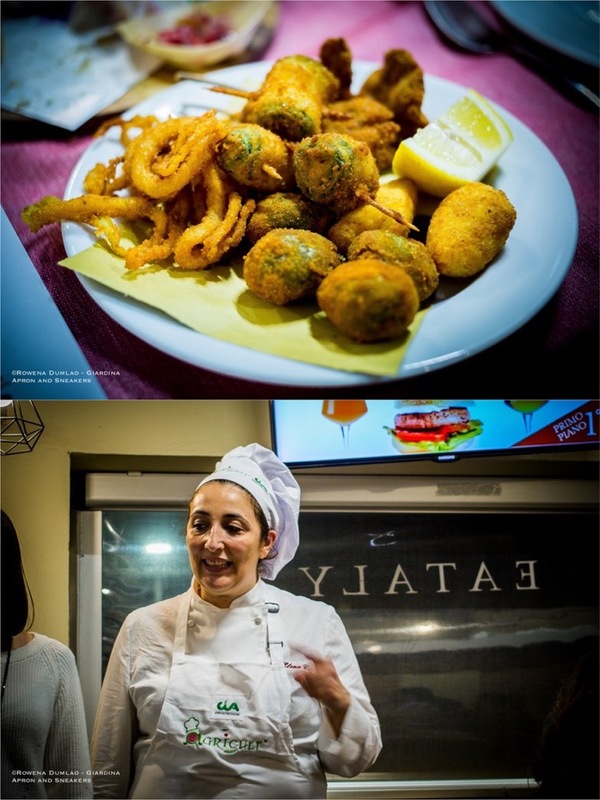 Maria Elena of Agriturismo Villa Cicchi in Abbazia di Rosara, Marche cooked a platter of Fritto Misto all'Ascolana. On the plate were olive all'ascolana (fried olives), courgette rolls, cremini (fried cream) and lamb cutlets. 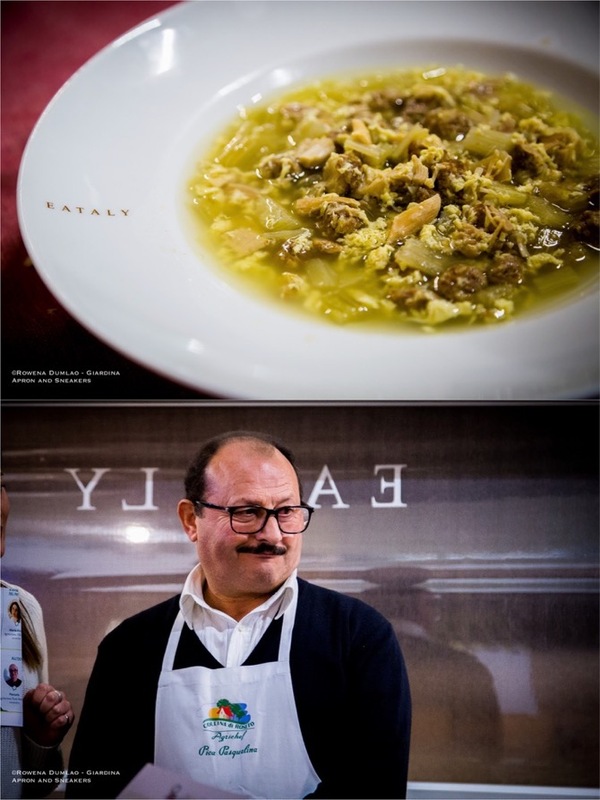 The Cardone Beneventano is a typical soup served for lunch on Christmas Day in the region of Campania made with capon broth, cardoons, mini beef meatballs, eggs, a bit of lemon and grated cheese that was made by Agriturismo Collina di Roseto in Benevento, Campania. 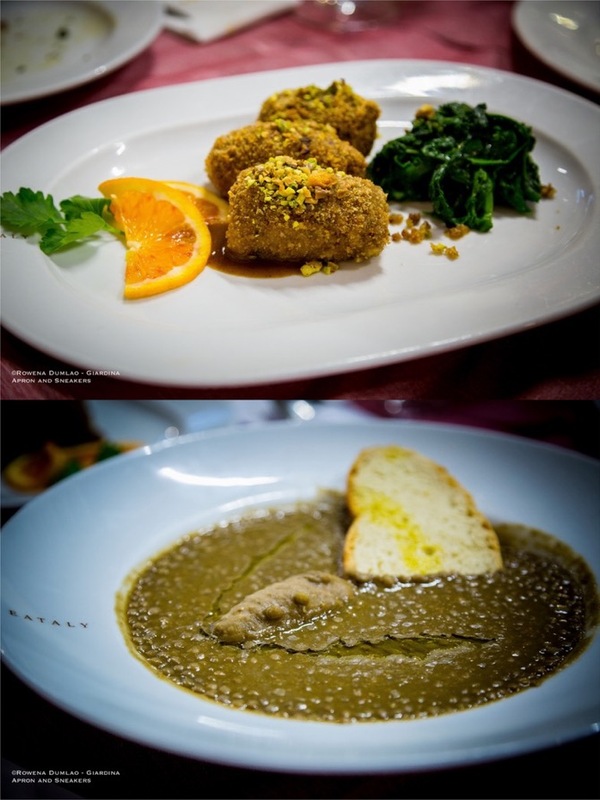 This delicious soup that emanates excellent rustic flavors actually won as the best traditional plate among the agriturismi in Italy by the Campionato Nazionale della Cucina Contadina in November 2017. 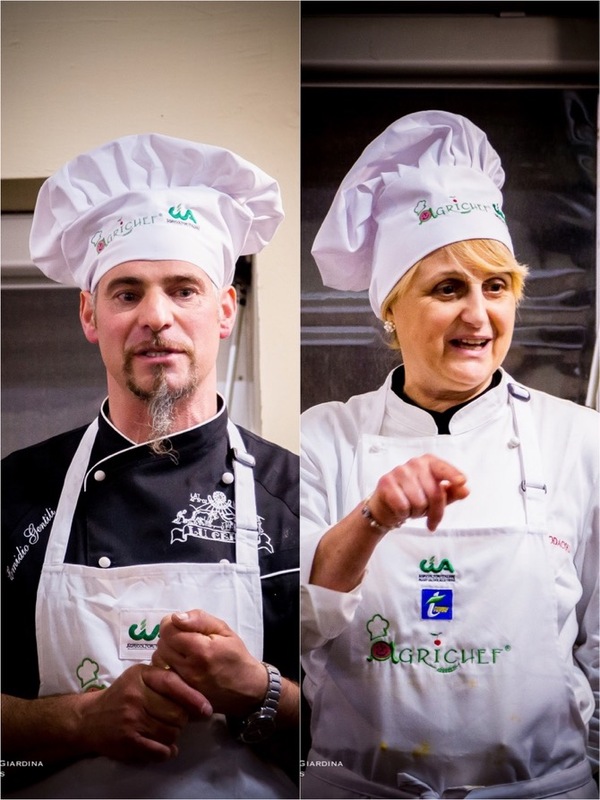 Federica e Gabriele of Agriturismo Gli Ulivi in Tricase, Puglia prepared some Tria con Ciceri e Cauli. 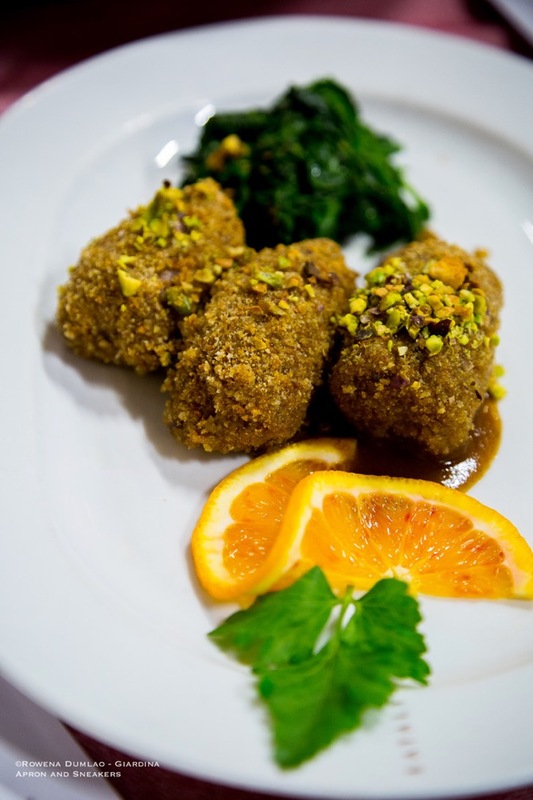 It is a typical pasta dish in the Salento tradition based on chickpeas and pasta made with durum wheat and semolina. The peculiarity of this dish lies in cooking the pasta wherein part of it is fried and another part is boiled then they are combined with the chickpeas and the condiments. Ravioli al Plin nel Vino is a traditional Piedmontese pasta dish made of fresh egg pasta filled with meat and vegetables served in Dolcetto, the daily wine of the farmers. 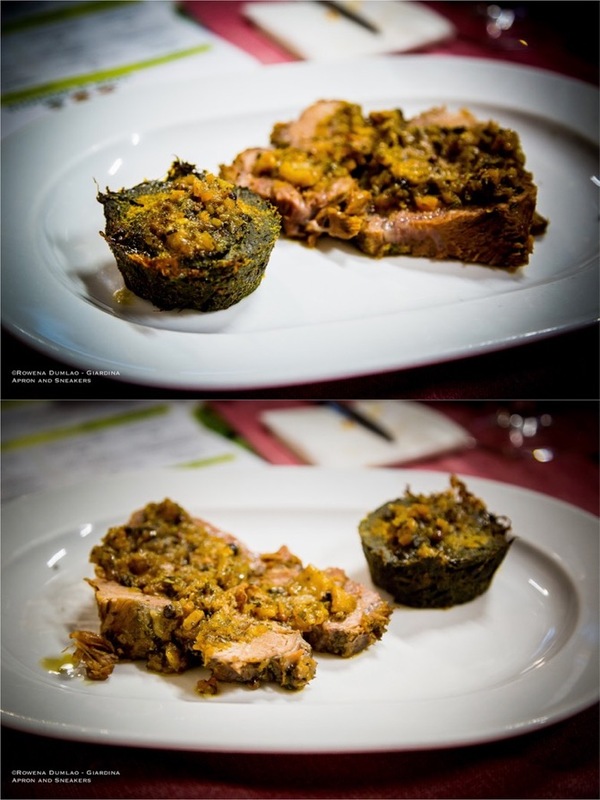 Piercarlo of Agriturismo Punto Verde Ponti in Ponti, Piemonte stuffed the plin with a mixture of three kinds of meat: veal, pork and rabbit, and sautèed vegetables: spinach, carrots, celery and escarole. 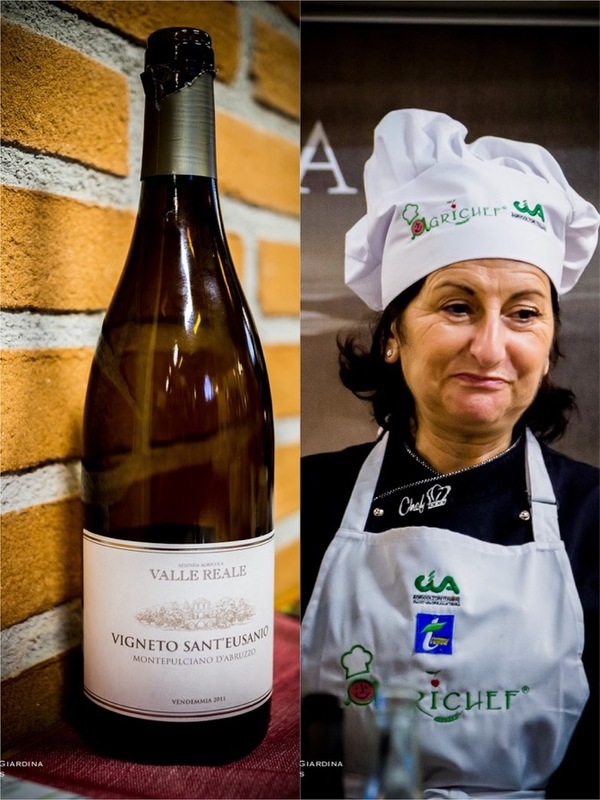 Irene and Anna of Agriturismo Cascina Carolina in Garlasco, Lombardia prepared a plate of Risotto con Pasta di Salame Sfumato al Vino Bonarda (Risotto with Salame Paste and Bonarda Wine) where the Lombard flavors take center stage. 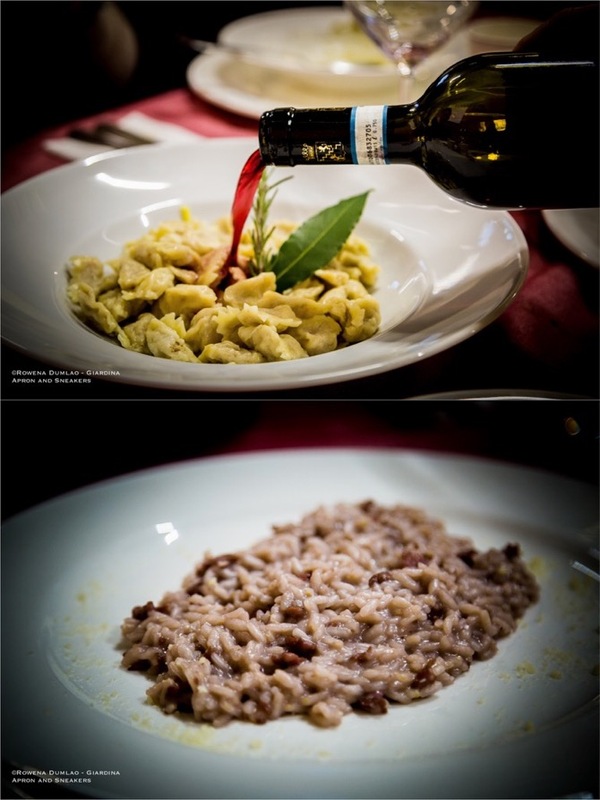 The risotto is made with the typical ingredients of Oltrepò Pavese: the Bonarda red wine and the salami paste. 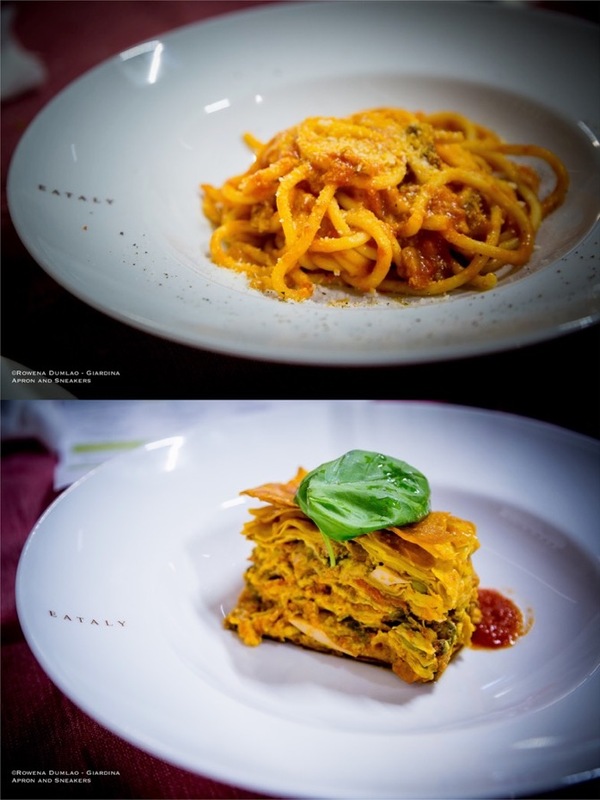 Of course, the region of Lazio is represented by the famous dish, Spaghetto all'Amatriciana cooked by Emidio of Agriturismo Lu Ceppe in Cittareale, Lazio which always takes the limelight on any Italian table. Anna Maria of Agriturismo Capodacqua in Montegualtieri-Cermignano, Abruzzo prepared a traditional Timballo Teramano, an ancient recipe that is usually served on Christmas Day. 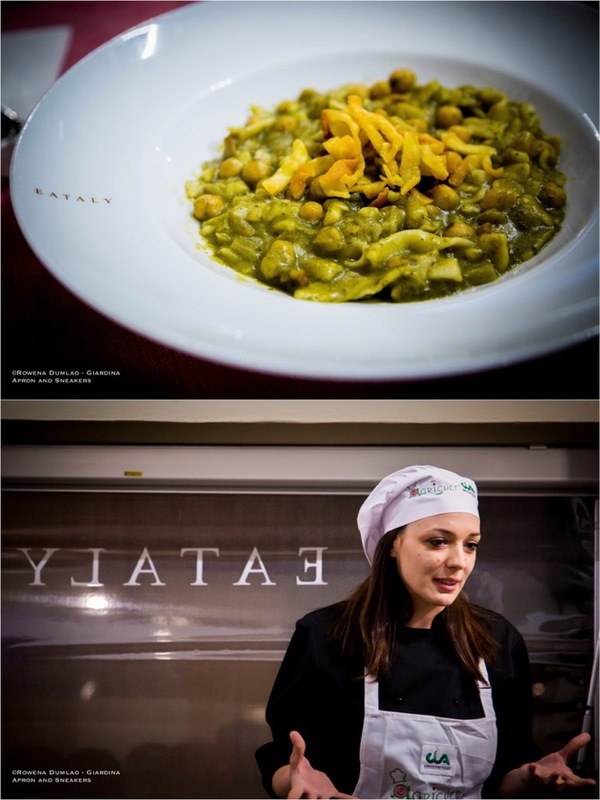 It is a timbalo or pie rich in flavors and composed of layers of scrippele (Teramo's version of the French crepe), meat ragù, peas, mini meatballs and cheese. The Peposo (peppery Tuscan beef stew) is a typical Tuscan meat dish from the town of Impruneta that is composed of chopped meat with lots of pepper, red wine and condiments then stewed for a long time. 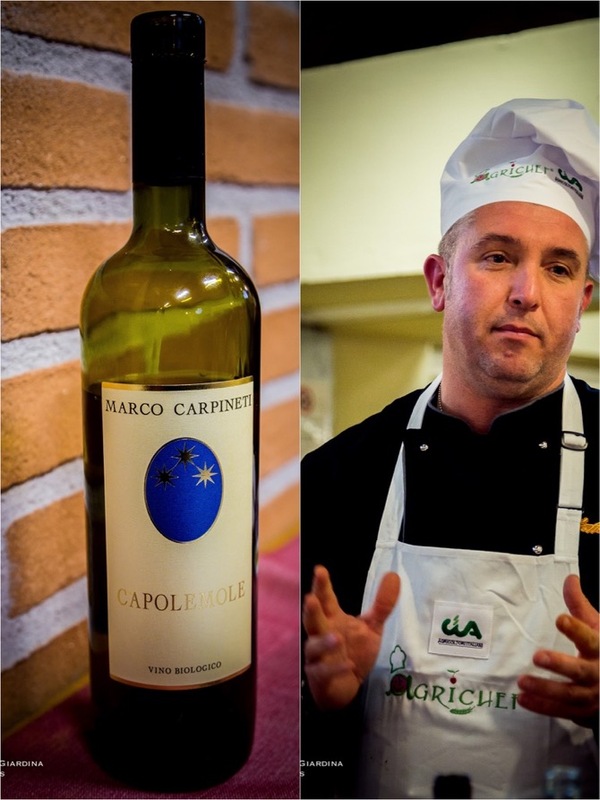 The Peposo of Lia of Agriturismo Villa Caprareccia in Bibbona, Tuscany is a delectable succulent version that is loaded with aromas and flavors that she served with a Sformatino di Verdure di Campo (mould of wild vegetables). Antonella of Agriturismo Bergi in Castelbuono, Sicily prepared her version of Involtini ai Sapori di Sicilia (Roll of the Flavors of Sicily) by filling up the meat rolls with the ingredients that island of Sicily are known for like pistachios, oranges, raisins, local provola cheese, local salumi and dried oregano paired with sautèed vegetables. Simple, classic and always welcome on the table, Lenticchie e Salsiccia (lentils and sausage) was prepared by Agriturismo il Margine in Norcia, Umbria. 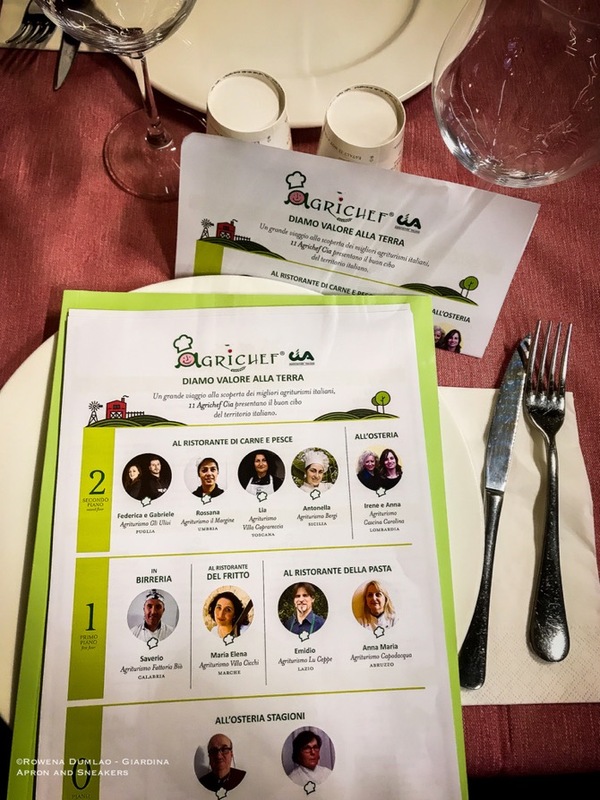 Among the eleven agriturismi, three of them, Agriturismo Villa Cicci (Abbazia di Rosara, Marche), Agriturismo Lu Ceppe (Cittareale, Lazio) and Agriturismo Il Margine (Norcia, Umbria) were hit by the last earthquakes in Central Italy. With the Agrichef - CIA's events, the people are invited to go back to these areas to try the local products to help boost the economy of the territory once again. 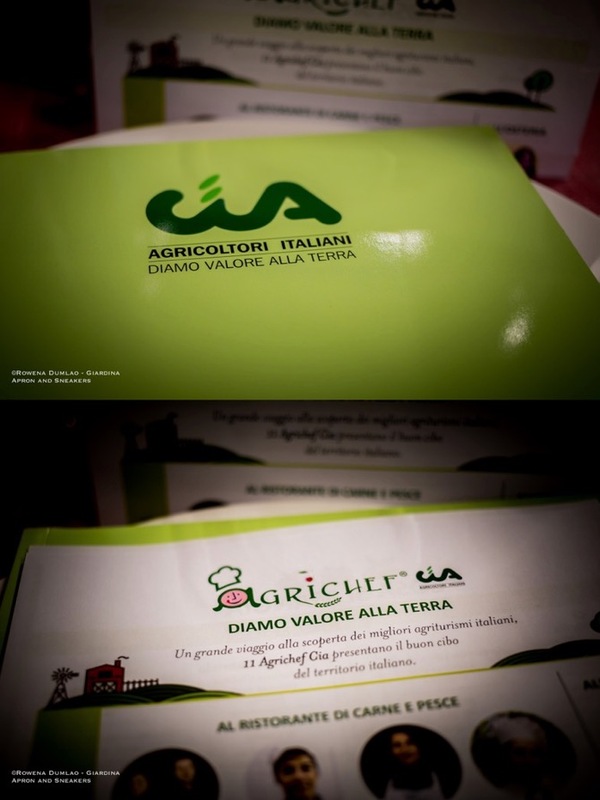 As a general objective of the organization, it helps amplify the importance of the roles of the agriturismi or farms that continue to preserve the traditions of their territories.